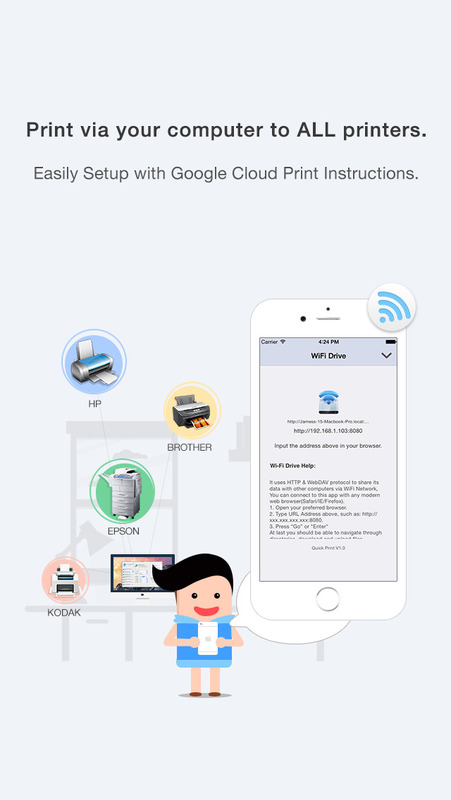 Quick Print (Cloud Version) enables wireless printing documents, photos, web pages, emails and more right from your iPhone & iPad Anywhere to ALL printers. 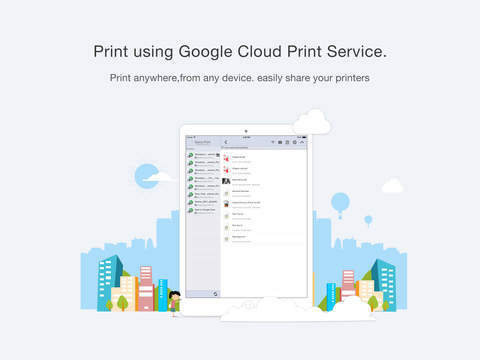 After sign in with your google account, it would list some printers registered with your account, try to select an file to open(you can copy our sample files from in-app Settings/Copy Sample Files), then print to physical printer or save to google drive directly! – Add display printer supply levels. 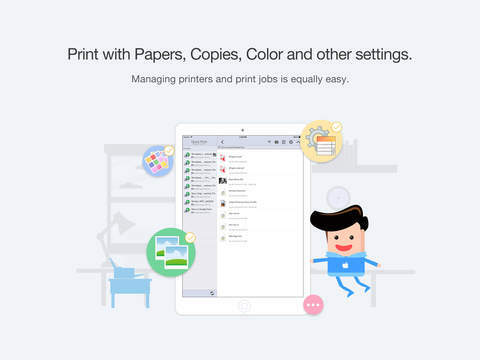 – Get more details about your printer info, including owner, type, kind, status and more. 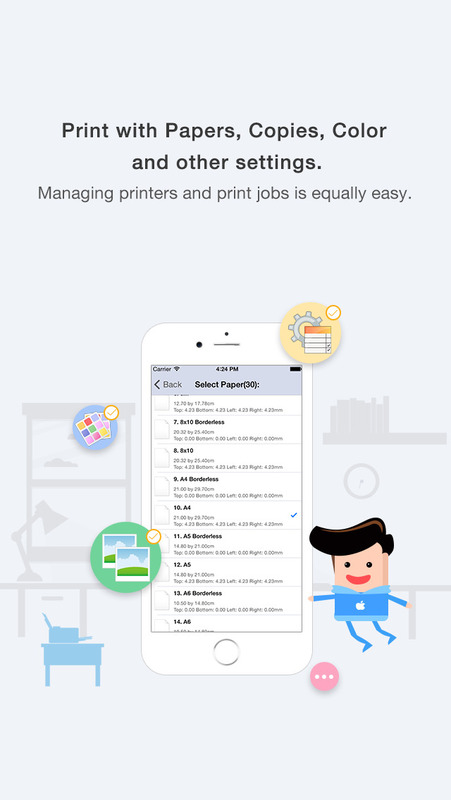 – Display all printer jobs, you can delete any jobs with one button. Using "Open In…" approach you can print files from many popular online storages: Dropbox, Box, Google Drive and others. 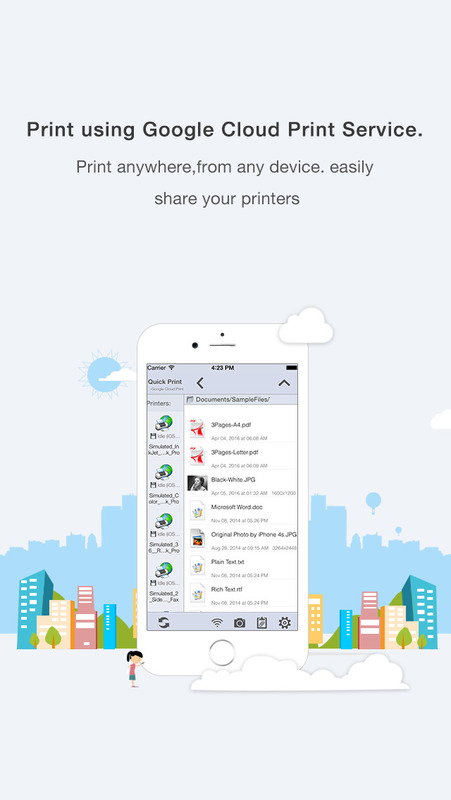 It just a matter of several taps to download your file via free Dropbox, Box, Google Drive and other application and send it to printer. With WiFi Sharing you can upload or download files from your computer to iPad , it uses HTTP & WebDAV protocol to share its data with other computers via Wi-Fi network. 1. 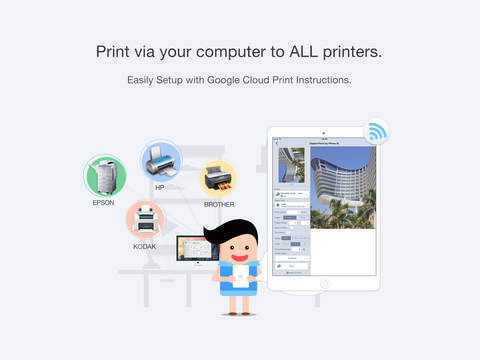 Both of your iOS device and Printer must connected to internet, it print files using Google Cloud Print Service. Improved Search printers, more printers supported. Other bug fixes and performances fixes.